Courtney Saldana and Ady Huertas gave a great presentation about serving teen parents at #alaac16. Ady’s program for teen mothers is amazing. The teens learned different skills over the course of 10 weeks. The library brought in different speakers to workshops attended by the teens during their regular school day. Topics varied from journaling, coping with mental health issues, career prep, crafting, and the most popular event: dressing for success. Everyone makes mistakes, but how many of us embrace them as learning agents? 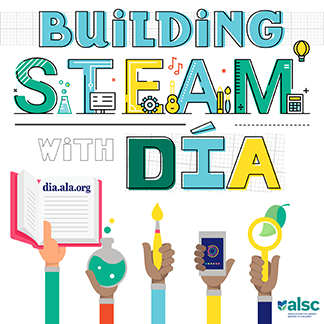 Interested in learning about creating physical spaces that promote wonder in your library? If so, read on for a quick summary of two Monday sessions that were phenomenal! Storytime Katie is amazing. 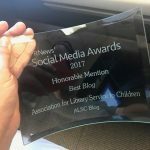 If you are a children’s librarian, you probably already know about her blog. I met Katie today at the Guerrilla Storytime in the Networking Uncommons. She had many wonderful songs and ideas. She is one of my Storytime super-heroes. Learning from all the librarians at this session was a valuable experience in a weekend of inspiring sessions. Not that long, long ago, but in a meeting room really far, far away from the West Concourse, a band of rebel librarians met to discuss Starnet.